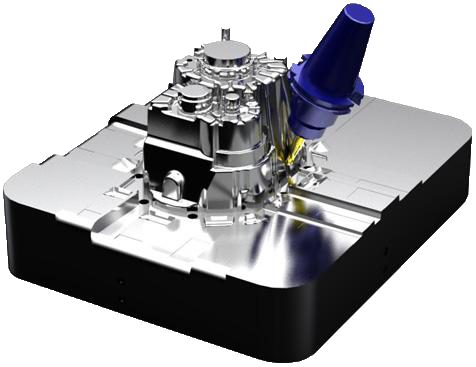 NCG CAM is a stand-alone HSM CAM system that integrates with existing CAD and CAM systems including Pro/ENGINEER and SolidWorks. NCG CAM boasts many innovative features including automatic 3D roughing. This is suitable for all types of forms, creating an optimised and smooth cutter motion for HSM machining, while helping to extend tool life, minimising wear on the machine tool and producing parts with excellent surface finish. Copyright © 2013 Creative Visual Computer Limited. All Right Reserved.